The Welsh are often depicted as always looking for a fight, but as I have studied Welsh history, I have found that so often, Welsh rebellions were provoked by the English. When Lord Grey accused Glyndŵr of being a traitor, is it any wonder that Glyndŵr rebelled? He attacked Ruthun in September 1400 and hundreds flocked to his standard. Henry IV demanded subsidies from the Welsh to fight the rebellion of their own countrymen, and passed draconion laws against the Welsh. By the end of 1401 the whole of north Wales was in revolt, and it soon spread to the rest of Wales. 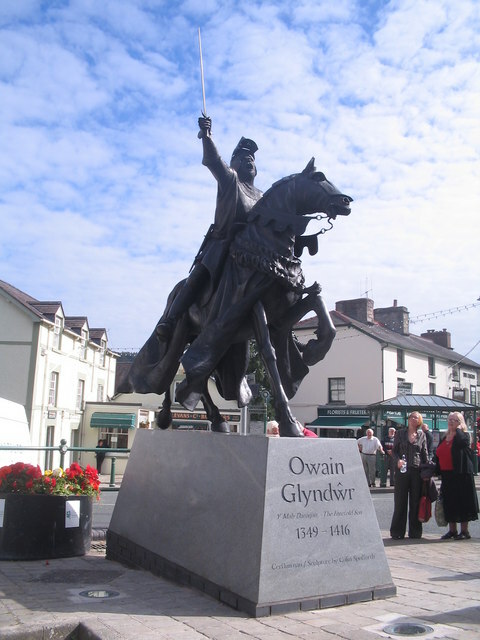 With support from Harry Hotspur, son of the Earl of Northumberland, and military aid from France and Brittany, Glyndŵr summoned a Welsh parliament at Machynlleth in 1404 where he was crowned Prince of Wales. Scotland, France and Spain sent envoys. He now controlled virtually the whole of Wales. In 1405 The Earl of Northumberland and Edmund Mortimer signed a Tripartite Indenture with Glyndŵr, agreeing to defeat Henry IV and split the kingdom into three. Glyndŵr's invasion of England failed however, due to lack of supplies, even though they were supported by a French army which landed in Milford Haven. 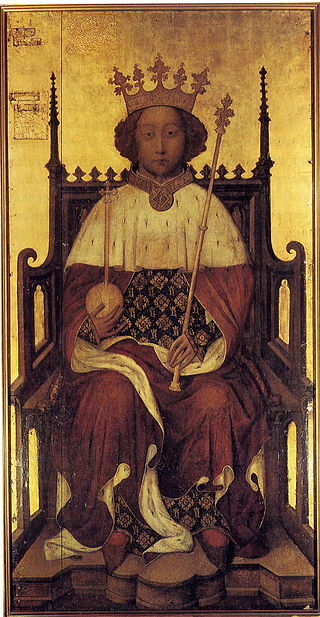 The young Prince Hal (later Henry V) led the skirmishes against him and 5 of Glyndŵr's 6 sons were killed. By 1410 the rebellion faded away. Glyndŵr disappeared and the bards turned him into a legend, the last man to inspire the Welsh hearts to resistance. The legend says he sleeps in a cave until Wales needs him again.